Saturdays 10:00 am to 4:00 p.m. for four Saturdays. With a unique combination of theory and practical film making exercises this course is helping students to articulate and deliver their ideas as a final product in the most creative way. This is a “hands on” general introduction to the overall process of creating a film/video project from the beginning to the end through screenwriting, shooting, directing, and editing their film piece. 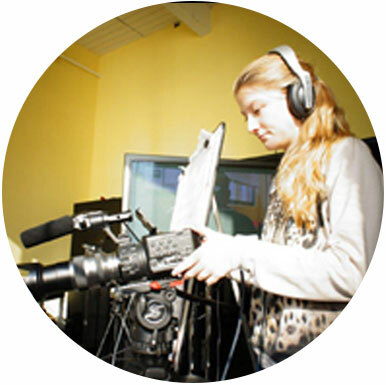 Students will be introduced to work on the latest professional HD digital cameras, professional lighting and sound recording devices in the studio as well as edit their work on Mac computers in Final Cut Pro. Students will learn step by step hands on introduction to the craft of directing and using the cameras, lights and sound in order to put their story together. Imagine, write down, shoot direct and edit your original short Story in six weeks.